Let’s talk smudging and clearing negative energy from our homes and other spaces. True story: I once had to convince my grandma that no, what she was smelling in our home was NOT marijuana, it was white sage from my earlier smudging. What a fun day that was! Despite that *now* hilarious hiccup, I still smudge at key times (like the new moon, after spring cleaning) and when the energy feels like it needs to be freshened up in my home. My smudge stick is one of my best friends, but I know this can all sound a little intimidating if you’re not familiar with it — so let’s break it all down! Here’s the skinny on sage: it was (and still is in holistic medicine) used as a key ingredient for a lot of medications! It can be a go-to solvent for all kinds of stomach distresses, headaches, and even depression. But maybe even more important than sage’s natural healing properties is its cleansing power. This stuff is like the Clorox of nature! Smudging your home not only releases all of sage’s healing benefits, it chases out all negative and stale energy in your home. It’s like the kryptonite of negativity! In fact, when I smudge I like to let the sage smoke go up into the corners of my home. I set the intention and imagine the smoke cleansing and kicking out any icky energies right out the window. Relax. Seriously, post smudge naps are almost as good as post turkey-day ones. Connect with your Higher Self. Which is why I love smudging right before or during meditation. Gain clarity. Without all those negative or stale energies hanging around your mind will be free to wander. Let it GOOOO. Smudging allows you and your housemates to release whatever is no longer serving you. Purify your air. Sage is, first and foremost, a natural purifier. The air feels so crisp and clean when you’re done smudging! Increase your spiritual awareness. Kicking everything that no longer serves you out of your living environment allows you to increase your spiritual awareness in ways you maybe never have! Obviously sage smudging has a ton of benefits, but you may be wondering how to tell if your home needs smudged. Do you just jump right in? Or wait for a certain time/day? All great questions! Much like a lot of what I write about, there’s no right or wrong way of doing a sage cleansing (unless you’re leaving the lit stick on a pile of flammable goods — don’t do that). Smudging is about releasing the healing and cleansing properties, but it’s also about internally centering and grounding. Smudging reminds us to release things that no longer serve us and connect to our Higher Selves. When the energy in my home feels generally off or unpleasant. After a life impacting event (car accident, career change, divorce, etc). If I’m having trouble getting out of my own head and letting things GO. If I want to have an epic meditation or journaling session. The day after a new moon. You’ve had an argument anywhere in your home (you can even do a sage cleansing if your pets have gotten into a sibling scuffle). You come home from a really crowded, negative, or tense place. The whole family seems a little more on edge than normal. Someone in the house has been sick. 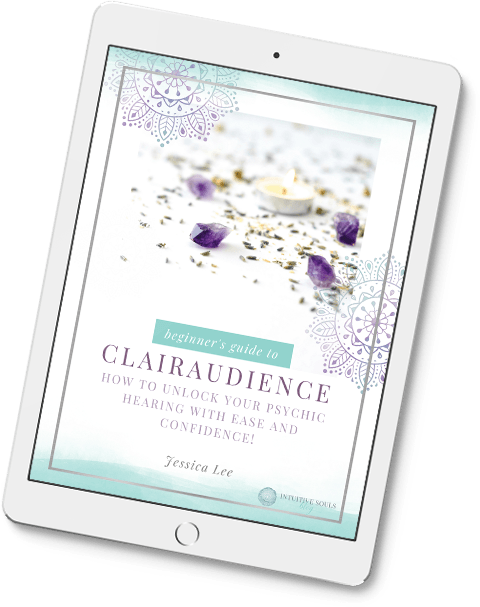 You’ve been thinking about performing a sage cleansing (that’s your intuition trying to get your attention)! Essentially, there’s no WRONG day (or way) to smudge — but those are some of the key times you should do it to get the most benefit from it. Sage. Obviously you need sage… and of course there are a lot of different kinds! This white sage is my all-time favorite — it’s got great reviews on Amazon and omgg it smells amazing. I also LOVE this sage spray! I use it ALL the time! It’s super easy for quick smudges and great for the car. Fire-proof dish or bowl. Next you need a way to keep the sage (and your home) safe while you perform your sage cleansing. You’ll also use the dish to let the sage burn out naturally and to collect any ashes. Traditionally, an Abalone Shell is used, but if you don’t have one, you can always use a small pottery bowl or some other type of fire-proof bowl that you have around the house. If you don’t have the “right” dish yet don’t worry… I’ve used a ceramic bowl with some water in the bottom in a pinch. It works totally fine — the most important thing here is the intention. Okay — you know why sage is awesome, when to use it, and what you need to use it. Now let’s jump into actually using it! Smudging is very easy to do. The most important part of this whole process is intention. Say a little prayer or invite your Spirit Guides and angels in. Ask your Divine helpers to assist you in purifying the energy of the home… this is always your first step. I personally like to open ALL the windows in the house before I begin. This gives negative energy a place to exit and allows nice, fresh air to come in! Light your sage stick over the dish. You’ll want it to create as much smoke and as little flame as possible. I like to carry a candle lighter with me through the house as I go in case it burns out. Once the sage is lit, you’ll need to cleanse yourself! If you’re going to walk around cleansing the home, you’ll need to be pure first… this all starts and ends with you. Direct the smoke towards your body starting at your feet and up to your head and then back again. Now, begin walking around your home (with your sage), keeping your intention clearly set in your mind. This is where I like to walk into corners (you’ll want to sage every corner in every room) and imagine pulling stale and negative energies from them. You can use your hands or a feather to direct the smoke where you want it to go (just steer clear of getting it in your eyes or nose). Picture everything you want to let go of exiting your open windows. Some people recommend starting in a certain room of your home, but I always just let my intuition guide me. If one family member has been sick or on edge I usually start where they spend the most time. Pay close attention to unused areas of your home as they can collect stale energy. Take as much time as you need during this step and allow your intuition to really guide you. Bless and purify this home and all who enter. Negative energy out, loving vibrations in. Fill this home with love. But you can pick any prayer or saying that feels good to your intention or heart. Remember — there’s no right or wrong way to do this. There are a two ways to wrap up… just choose whichever one you feel most guided towards. You can always end it different ways each time too! Once you’ve finished walking around your home, you can lay the sage stick in your fire-proof dish and allow it to work itself out naturally. (obviously, don’t leave it unattended) If I choose this option, I love to have the dish near me as I meditate or journal. After you’ve finished smudging, you can also manually rub your sage stick out. After it’s put out, bury the sage or ashes to signify the finality of the negative energies that lived in your space. Tip: If you like the idea of burying the smudge stick and it going out naturally — do both! At the end of the day, smudging has the best effect when it’s personal and lead by your intuition. Go with what you feel is right and don’t worry about saying the right prayer or moving in the right direction around a room. When you’re ready to sage again (and trust me, you’ll be ready soon), use a fresh sage stick and go for it! There’s no need to wait for a special occasion to purify your space.